Yesterday Natura Pet announced yet ANOTHER recall of all their kibble products and this time included treats as well. This is the third recall of all the brands they make in just the last few months. The brands include: California Natural, Evo, Healthwise, Innova, Karma and Mother Nature. All lots and package sizes are effected, in fact anything with an expiration date before 6/10/14, except canned food, which is not part of the recall. Its spring and skunks are on the move. Most active during dusk, dawn and during a full moon, a startled skunk is likely to react by lifting his tail and letting loose his powerful defensive mechanism – and oh does it smell! Skunks can carry rabies, so if you realize your dog has been sprayed, the first thing to do is put on protective rubber gloves and an apron or other coverall. Check your dog over for bites or injury. If any are found, stop and call your veterinarian right away. If the dog hasn’t been injured, other than the insult of the smell, then a bath is in order. Do not get this solution near your dog’s eyes, ears or mouth! With the solution ready to go, do not pre-rinse your dog, but just start right in with the solution, massaging it in and then if possible let it sit for about 5 minutes before rinsing thoroughly. Repeat the process a second time and perhaps a third if necessary. Dry your dog well. 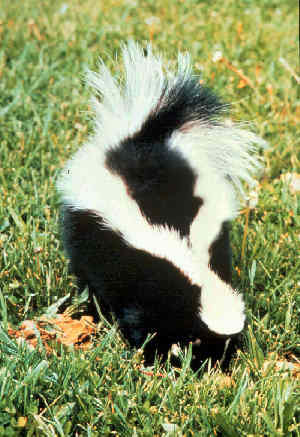 The oils from the skunk spray can re-surface with time, so if the smell comes back, another bath might be needed. This peroxide solution can lighten what it comes in contact with, so be careful with your clothes or rugs. 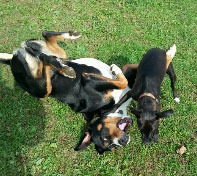 Did you know that 1 in 4 Collies could have a mutated MDR-1 gene? Aussie and Mini Aussies are susceptible too. The primary concern is with ivermectin sensitivity. Ivermectin is the primary ingredient in Heartgard heartworm prevention, but is also the drug used to treat dogs that are diagnosed as heartworm positive. While even dogs with the sensitivity SHOULD be able to tolerate a dosage suitable for heartworm prevention, if you have a dog that ranks higher on the susceptibility list, you may want to consult with your veterinarian. For more information on ivermectin sensitivity visit the American Working Collie Association drug sensitivity page: http://www.awca.net/drug.htm. Not that many years ago the number of choices available for high-quality dry dog food was pretty limited, but these days there a quite a few options to choose from. 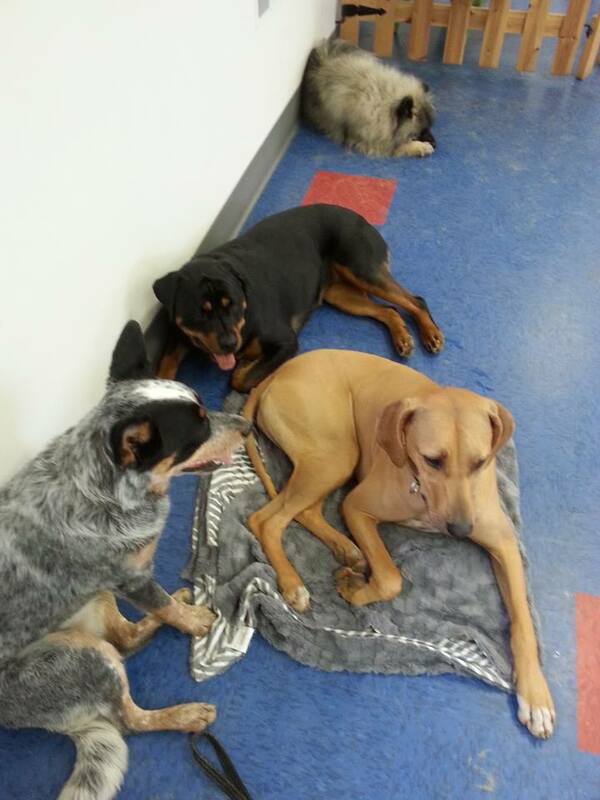 So how to raise the bar on dry dog food? Introduce ORGANIC ingredients! There are a few different companies that offer dry dog food with organic ingredients, but our dogs are currently enjoying these two: by Nature Organics and Health Extension Original. by Nature Organics includes not only organic chicken as the first ingredient, but also includes organic grains, vegetables and fruits, such as organic ground brown rice, organic ground oats, organic peas, carrots and cranberries. The kibble is essentially round and the size is quite small, about half the size of a pea. The protein content is 27%. In addition to the dry kibble, by Nature Organics offers 4 canned food varieties 2 of which are 100% meat (one is organic turkey, one is organic chicken). The other two canned formulas are a mixture of meat and vegetables. 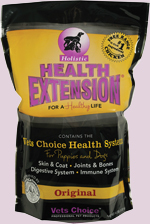 The other food my guys are really enjoying right now is Health Extension Original formula by Vet’s Choice. While the only organic ingredient in this formula is the first ingredient – organic chicken, the rest of the ingredients are high quality, with all formulas including: fish oil, primrose oil, glucosamine, chondroitin, colostrum, blue green algae, prebiotics and probioitcs. The kibble is a thick disc shape, but also small, about the size of a small pea. The protein content is 24%. For folks with small dogs looking for a small kibble size, the Health Extension Little Bites formula has the smallest kibble I’ve seen. Vet’s Choice claims that All Health Extension products are made in the USA and none of the raw materials used in the production of the food originate in China. The company, located in Melville, NY, family owned and in operation since 1975, has never been involved in a recall.